Short-form video is an excellent marketing tool that helps you connect with your customers on a more personal level, while delivering all the information they need in 60 seconds or less. By 2020, video is expected to account for 79% of global internet traffic, which means there’s no better time to start producing marketing videos than now. In order to create greater awareness for your products and services, generate new leads and retain existing customers, you’ll need to be able to quickly produce short-form videos. In this post, we’ll discuss what equipment and knowledge you should have to produce quality video for your business. Video has a reputation for being expensive, but you just need a few pieces of equipment and a smartphone or tablet to produce a quality video. Below is a list of video equipment and pricing we found on Amazon, totaling about $100. Cellphone Tripod Mount – $5.99 This mount will hold your cellphone and enable you to use it like you would a video camera. 60” Tripod – $23.49 The cell phone tripod mount screws into the tripod. With a tripod you can zoom and pan without creating shaky video. You can also set up the tripod so you do not have to hold the phone while you are interviewing someone. Miracle Sound Lavalier – $13.59 Cell phones have small microphones, most of which are far back into the phone to increase water resistance. Because of this, your phone may record sound softer than you would want. Buying an external lavalier microphone that connects into your phone is a good way to produce louder, high-quality sound from your phone. Miracle Sound Extension Cord – $11.95 An extension cord for your external microphone will make it easier to hide the microphone during interviews. CyberLink Power Director 15 – $49.99 This is professional, affordable nonlinear video editing software. The video editing software you purchase should depend on your skills. If you are a beginner, try experimenting with the free software on your computer: iMovie (Mac) or Windows Movie Maker (PC). FiLMiC Pro – $9.99 A video app called Filmic Pro turns your phone into a high-definition camera with the ability to give you manual control over focus, exposure, ISO, shutter speed and color temperature. There are many different types of video editing software, all ranging from free to hundreds, even thousands of dollars. If you are new to post-production video editing, it is recommended that you start with a software that’s simple to use and inexpensive. 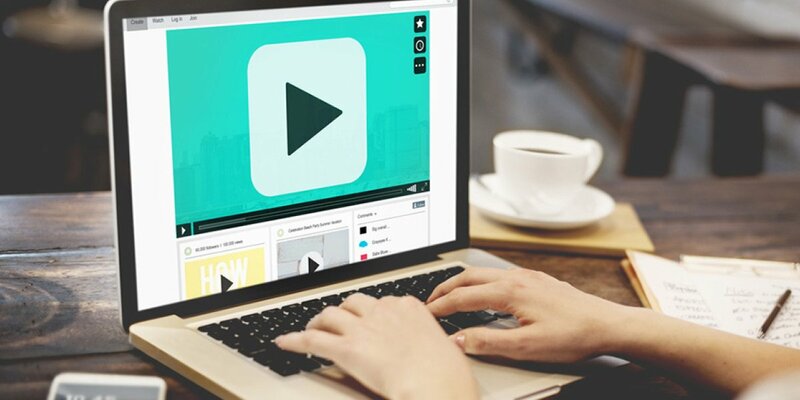 For common video editing software, you will be able to find plenty of how-to videos online to help you improve your editing skills. Have a camera-friendly employee demonstrate your company’s products in a series of short videos. Customers coming to your website seeking product information are likely to be more inclined to first click on a short product demonstration video before reading about it in a lengthy article. In a tutorial video, an employee can show viewers how to tackle a particular project or issue – while using your company’s products of course! For example, Home Depot has a series of how-to home improvement videos using its brand of equipment. Each video is less than five minutes long and viewers can take away new knowledge. An introduction video on a company’s home page can offer customers everything they’d want to know about your business in a matter on a few minutes. This video can show a potential customer what your business has to offer while displaying your company’s personality. A company spotlight video often features an employee or department and demonstrates what they do for the company. They help customers feel more connected to your company on a personal level. Another example could be employees talking about what it’s like to work at your business. This can help attract talented job candidates who are the best fit for your company’s culture. Testimonials are from happy customers are powerfully persuasive, especially when they’re on video and you can see real people sharing their experiences. Ask your clients if they’ll speak on video about what it’s like working with your company. Seeing so many good testimonials will encourage prospective clients to reach out to your business. Everyone knows how to aim, press record and take video on their phone. However, there are some guidelines that the average person may not know when shooting video. Below are eight helpful tips to keep in mind. Record for a minimum of ten seconds – Count to ten in your head before you stop recording. This will give you enough footage to work with when editing. Frame your shots – Don’t be afraid to put your subject slightly off center. When interviewing people, put them to the left or the right of the screen, but make sure they are always looking toward the center when speaking. Make sure to post your video on all your online platforms including your website, Facebook, Twitter and LinkedIn. Write catchy headlines, add hashtags and make your video “shareable.” When posting to Facebook, make sure to use the “Autoplay” feature. Many viewers tend to stop and watch video in their feed if it’s already running. On Twitter, shorten your links using Bit.ly. Last, but not least, don’t be a perfectionist. Your videos will improve as you continue producing them. It’s more important to get your marketing video out to your customers than to wait until you think it’s perfect. Remember, none of your customers expects a Steven Spielberg production. We hope these tips and tricks help you create an engaging and informative short-form video for your business. Download our helpful short-form video tip sheetand take it with you on your next shoot. If you have any questions or need more advice on producing marketing videos, contact us at info@roopco.com or (216) 902-3800. Find more blog posts and marketing tips at roopco.com. Katie Casciato is a senior account executive at Roop & Co., where she develops, manages and executes integrated communications campaigns in support of our clients' strategic business initiatives. Her experience includes content marketing, media relations, digital marketing, content creation and public relations.